The University of Rajasthan will soon release Uniraj Admit Card 2019 for the various UG PG Exams course like (BA, B.Com, B.Sc, MA, M.Com & M.Sc etc). Rajasthan University release application form for both applicants Regular and Non-College Private Student. Regular students can get the University of Rajasthan to admit card from the college in which they fill application form while Non-College Private Students can get admit card through the Uniraj official portal. Applicants those are looking for Rajasthan University Admit Card 2019 can download it from here also. Uniraj Examination Details: All the students who submit their examination form for session 2018-19 start exam preparation according to the exam schedule. Rajasthan University released exam time table in Jan/Feb Month. we will upload exam date for all Regular and Private students. You can also check it from the official website. The University of Rajasthan organizes BA, B.Sc., B.Com, B.Tech UG & PG courses exams from February to April. Thousands of candidates are participating in these exams. 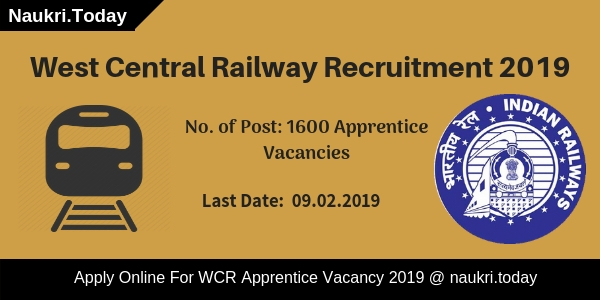 Candidates can check Uniraj Hall Ticket/ UOR Admit Card on this blog. Fresh update as on 09.02.2019: Hello Friends, Rajasthan University has released UG Exam Admit Card 2019 for Pass Course. 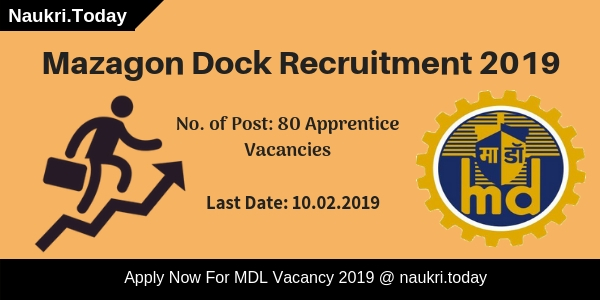 Candidates may download their Uniraj Admit Card 2019 form links given here. The examination is going to start form 13.02.2019. Participants must check their Exam Center which is printed in Uniraj Hall Ticket 2019. Uniraj Admit Card 2019 : From January/February 2019. Month of Exam : March/April 2019. About Rajasthan University: On the 8th of January 1947, the University of Rajputana appeared like a little star on the educational horizon of pre-independent India. That little star, now called the University of Rajasthan is shining “like a diamond in the sky.” Having acquired the status of University with Potential for Excellence, today, the University celebrates its 68th Foundation Day. Over the years the University has redefined itself keeping in mind the changing trends of the educational system. The admit card will be very important for the candidate. There will be candidates identity like candidates name, roll number, photograph, and signature. The examination name, date, time and center will also be there on the admit card. Students need to read all the instructions or guidelines if mentioned on the admit card. Rajasthan University is going to conducts various examination in the month of March /April, 2019. As we know that Rajasthan University conducts various examinations like Bachelor of Arts, Bachelor of Science, Bachelor of Commerce, Bachelor of Computer Applications and Post graduation examinations. So all students who are studying under Rajasthan University in various colleges should be updated with our website to get latest updates. Remember that students who have filled examination form will have to allowed appear in Raj University Exams 2019. Here we are going to discuss about Rajasthan University Exam Result, Time Table, Result Uniraj Exam Syllabus 2019. so go through full post which are given here. The University of Rajasthan will generate admit card of all those candidates who have applied for examination or filled examination form. Students should know that without examination form Rajasthan University Admit Card 2019 will not be generated. Candidates can download Raj University UG /PG Hall Ticket 2019 from the official website or activate link in this post. Rajasthan University BA B.Sc B.Com Admit Card 2019 is compulsory to appear in the examination, without admit card candidates will not be allowed to appear in the examination. When download you admit card & Rajasthan University Exam Scheme check all details that are correct or not if any corrections are found then inform to exam authority. Rajasthan University Admit Card 2019 Uniraj UG/PG Hall Ticket : We also provide a link to download admit card & Study Material directly, Rajasthan University released the notification of Time table for various UG and PG courses, Rajasthan University conducting B.A, B.com, B.Sc, exam both Regular and Private student, Admit Card for regular students B.A, B.COM, B.SC, declared but Admit Card for private student various exam B.A, B.COM, B.SC, to be declared after this month, Now scroll this page and download admit card B.A, B.COM, B.SC. Download Admit Card For BBA (II, IV, VI Semester) Exam – 2019. After enter into the desirable website candidates must have their necessary information i.e. their roll number issued to students or application number provided by the organization. Now after logging in to your Account here you will get the entire current Admit card/call letter/hall ticket click on the desirable link. Then some of the important links show in your screen click on the appropriate link and now enter all the information, which was required in it. When you click on that link your entry card will be shown on the screen, now download option will appear after the whole procedure. Click on download option and save your Entry Card and take a print out for the future use because without your hall ticket you will not allow giving your exam. 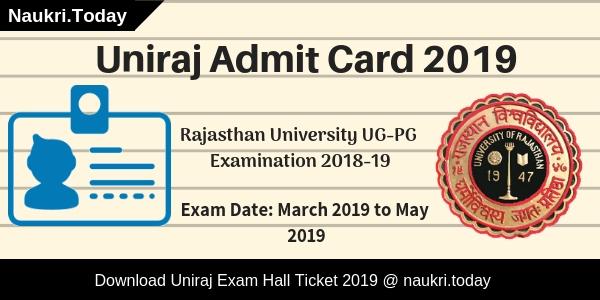 Uniraj Admit Card 2019, Candidates who are going to appear in RU Examinations 2018 and looking for Rajasthan University Admit Card 2019 for undergraduate and postgraduate examinations. They all will get their Rajasthan University UG–PG Hall Ticket on the official website or here.